Oil on gessoed card, 6"x8". Done on the spot. 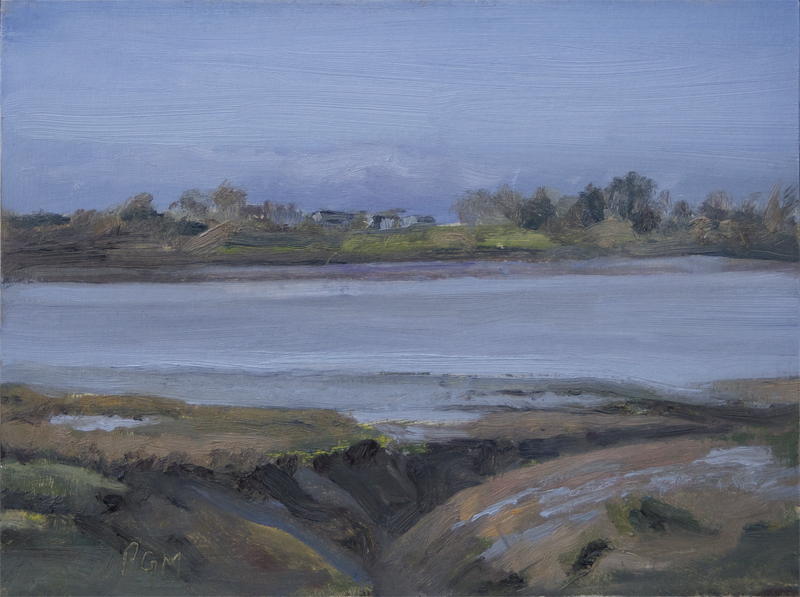 This painting was done on the saltmarsh covered by water in the previous painting. The tide rises and falls a long way here and comes in very quickly. I was painting at another place further down the estuary the other day at around low tide and really begining to get into my stride when I became aware of the sound of water approaching. I looked downstream and there was a tidal bore coming upstream at some speed. I had to stop immediately and beat a retreat as the spot I was standing on would be innundated in a matter of minutes. A lovely plein air. I was just talking with painter friends about the dangers of plein air painting. We were discussing snakes rather than incoming tides!